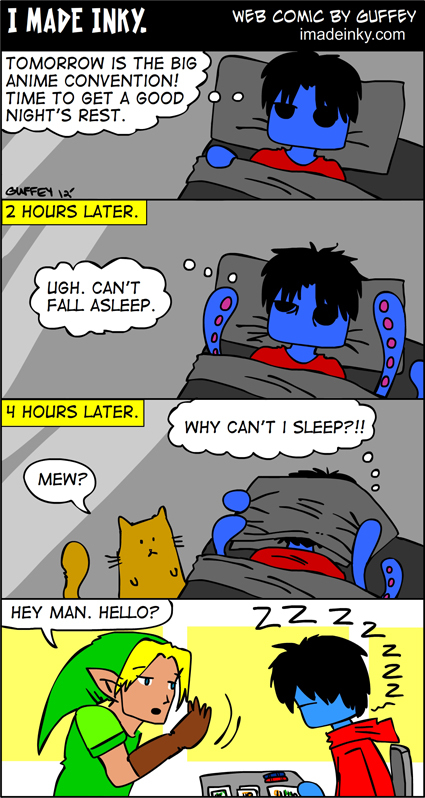 Comic #87 – Sleep. | I made inky. This entry was posted on Sunday, May 20th, 2012 at 3:06 pm and is filed under Comic. Tagged: anime, anime convention, cat, cephalopod, comic, cosplayer, imadeinky, kitten, Link, octopus, Scooty, sleep, squid, web comic, webcomic. You can feed this entry. You can leave a response, or trackback from your own site. « Comic #86 – Contacts Part 3.